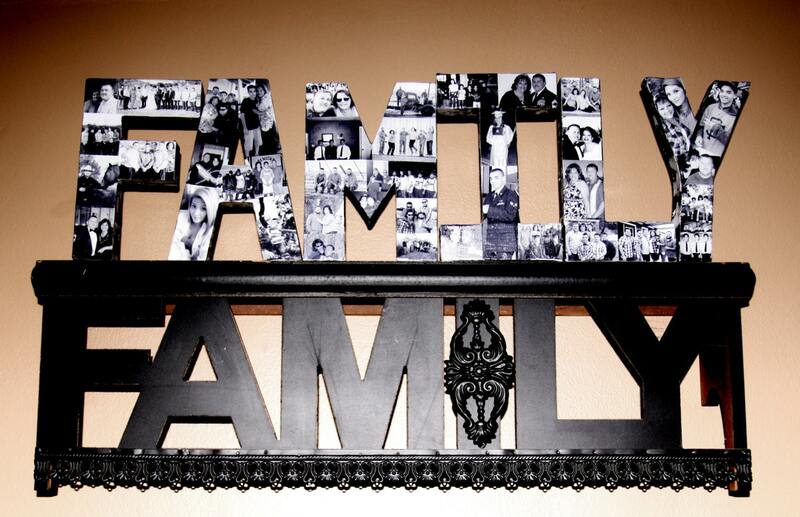 This is a beautiful way to display your family photos and those who make your house a home. 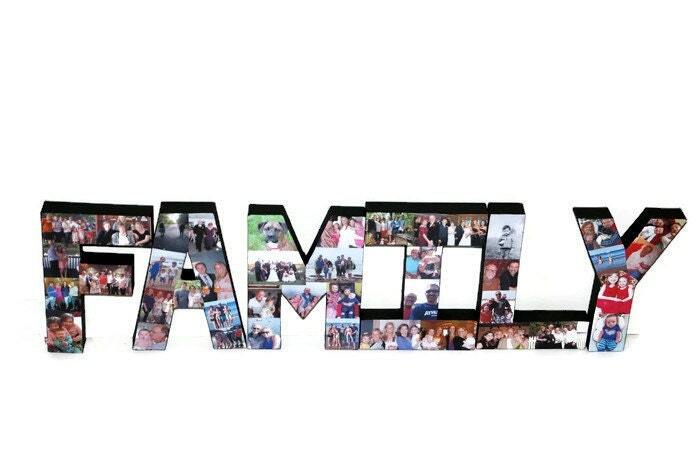 Love grows best in your home so show off those who are dear to your heart with this unique Family Letter Photo Collage. The collage displays between 40-45 photos of your choice in either black and white or color. You can choose the paint colors of the back and sides. 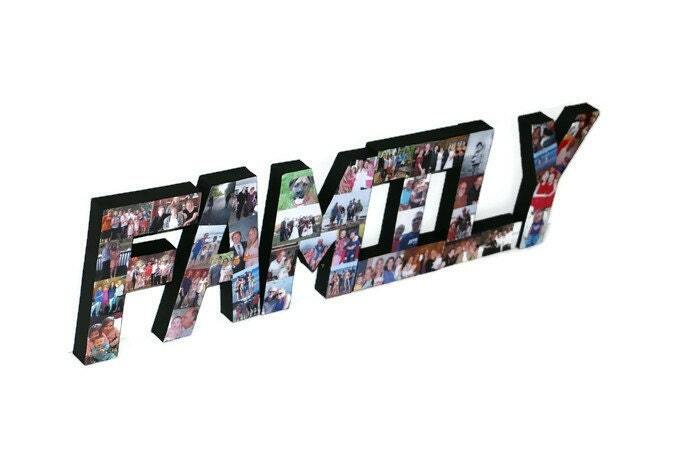 ***The shelf is for display purposes only and is not included in the purchase of the word FAMILY**** These unique letters display the word FAMILY and are in your choice of 8 inches tall, 12 inches tall or 16" tall and are 3D and stand alone with support on a shelf or mantle or can be hung on a wall. I recommend using command picture hanging zipper strips by 3M for easy hanging. 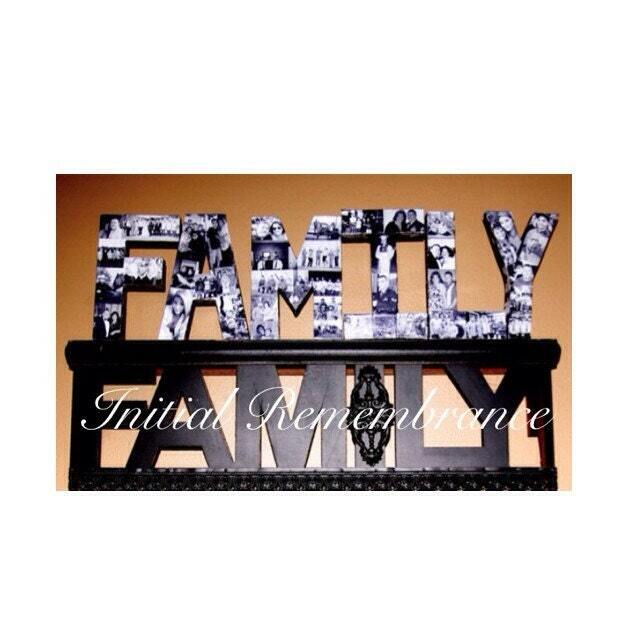 •Great for all occasions; birthdays, anniversaries, holidays, weddings, Fathers day for dad, Mothers day for mom, bridal showers, graduation, prom, homecoming, senior portraits, going away, housewarming gifts. If you have an idea that you do not see in my shop, please convo me and I will be happy to entertain any ideas.